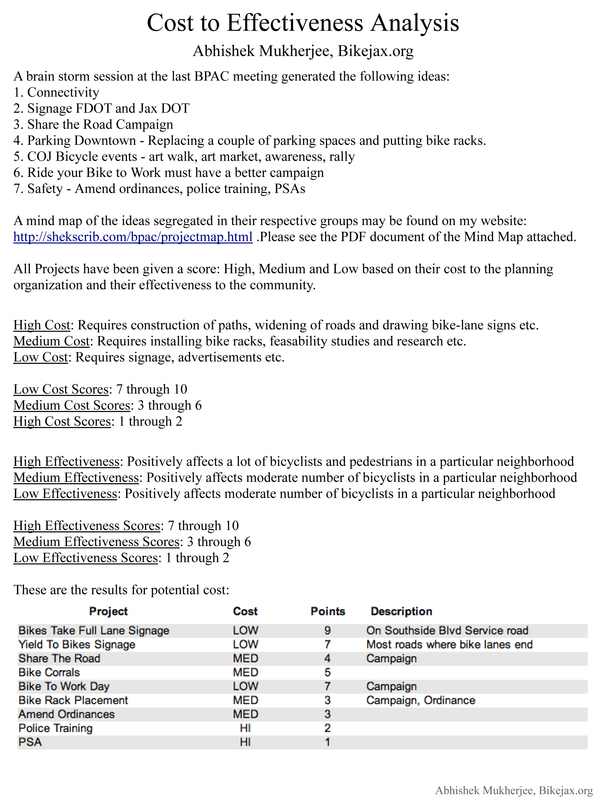 This is a cost-effectiveness analysis created to rank projects. 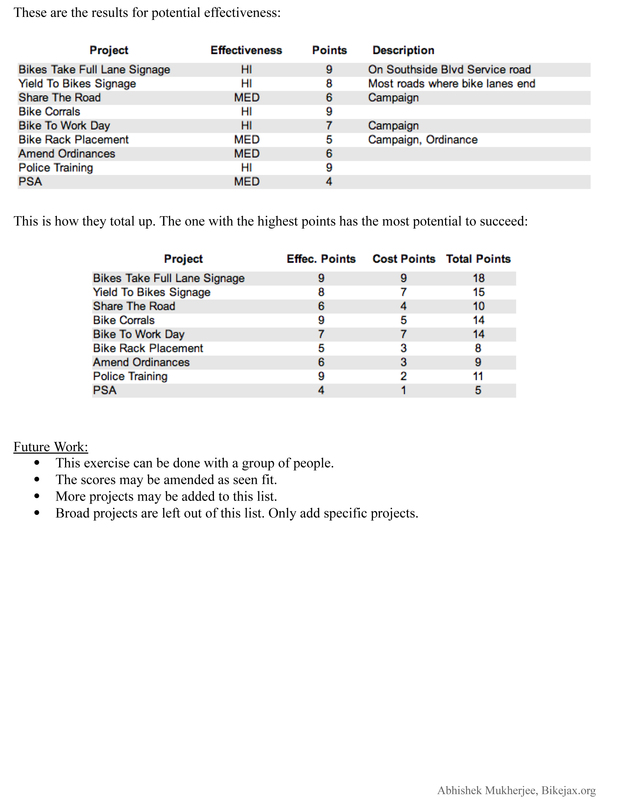 Highest rank project was the one with the lowest cost with highest effectiveness. Projects were brainstormed at a BPAC meeting and put on a mind-map. The final table lists the projects in descending order of rank. ← Regular bike rides & events in Jacksonville.